Besides cinnamon’s delicious flavor, it packs a healthy punch! Many recent studies have drawn a direct link between cinnamon and diabetes. Specifically, regular intake of cinnamon can help prevent and fight diabetes. In addition to discussing how cinnamon helps battle diabetes, we’re including an easy recipe to help boost your cinnamon intake right away! Diabetes is the common term used for the metabolic disease that affects the way the body reacts to insulin. The result is high blood sugar and a multitude of other complications that can occur. What researchers have found, however, is that regular cinnamon intake can lesson the impact of a high carb food on the body’s blood sugar levels! The American Journal of Clinical Nutrition performed a study on 14 healthy individuals to test how cinnamon alters the rise of blood sugar. The test subjects were split into two groups: one received 300 grams of plain rice pudding and the other received the rice pudding topped with 6 grams of cinnamon. Another study performed by the US Agricultural Research Service, focused upon participants with type-2 diabetes. It included 60 volunteers broken into 6 groups, all of whom had type-2 diabetes and were not taking insulin. The test was conducted over 40 days and “groups 1, 2 and 3 were given 1, 3, or 6 grams per day of cinnamon while groups 4, 5 and 6 received placebo capsules.” They found that the smallest cinnamon group who received only 1 gram per day experienced a 20% decrease in blood sugar. Plus, cholesterol and triglycerides dropped over the same time frame. The study concluded that less than half a teaspoon per day of cinnamon reduces blood sugar levels in persons with type 2 diabetes. Importantly, when daily cinnamon intake was stopped, blood sugar levels began to increase. As research has shown, adding regular cinnamon intake into your diet is an excellent way to help regulate blood sugar levels. Here’s a favorite recipe for cinnamon stick tea that can be enjoyed at any time! The following directions are for 1.25 cups of tea. 1. Place 1.5 cups of water into pot or glass kettle. 2. Add one Ceylon Cinnamon Stick (3 inch length). Ceylon cinnamon is best because it has lower levels of toxins compared to cassia cinnamon. Note: You can break the cinnamon sticks into small pieces for easier brewing, but it is not necessary. 3. Bring the water to a slow boil using a medium heat setting. To properly extract all of the cinnamon, the sticks need to be slow boiled. This usually takes about 15-25 minutes. Boiling fast will not brew the cinnamon properly. 4. When the water starts to bubble, remove kettle from the heat and let it steep/rest for 15 minutes. 5. During the steeping process, the water cools and you’ll see the the cinnamon release from the stick. The tea will go from a pale yellow to a golden red color. 6. Use a fine strainer to strain the tea. This will make sure that no small pieces of cinnamon end up in the cup. Preventing and fighting diabetes just got a little bit easier! 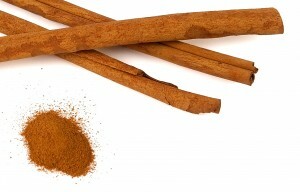 Adding some cinnamon into your daily diet will not only taste good, it will help your body to regulate its blood sugar.